"Vizio's technology works by analyzing snippets of the shows you're watching, whether on traditional television or streaming Internet services such as Netflix. Vizio determines the date, time, channel of programs — as well as whether you watched them live or recorded. The viewing patterns are then connected your IP address - the Internet address that can be used to identify every device in a home, from your TV to a phone." Other than that, I really like my Vizio (M55-C2) 55-Inch 4K Ultra HD Smart TV. Maybe it is too smart. Only posting because I wanted to call it Security Theater Theater. And Kickstarter has killed the anonabox Tor router. 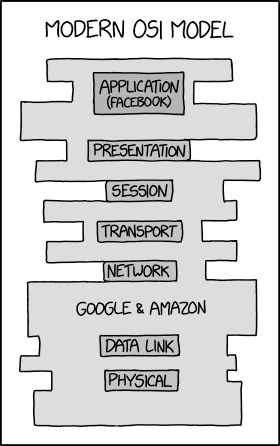 As is often the case, life seems to work in themes... since I've talking about the CWNP, I see a couple of articles about routers. The first is a primer for buying a new router for your home. "The anonabox easily encrypts Internet usage with a simple device that secures all web traffic, not just the traffic coming from one program. No software to download or configure, no login credentials, no registration, just plug it in and your network connection is encrypted. The anonabox also allows people to use programs over Tor that never supported it before or required complicated configuration like Skype, Safari and Filezilla, to name just a few. Also the default firewall configuration protects your computer or network from outside access." Somethings you can't control - some you can. I'm guessing many of you have seen the proposal to allow encryption on the ham bands under certain circumstances. They (Bruce, Bob, Hans) are agin it. I'm fer it - but only if we use ROT26 for the encryption. I use ROT13 for all my sensitive information. If it is portable for you, it is portable for the bad guys, too. I agree they are getting more aggressive - aggressive with the people they are supposed to protect. I've had run-ins with the TSA before (and another thing about that encounter). I had another discussion with them this week. My daughter was sick when we left Knoxville for the happiest place on earth, so we had her digital thermometer in a carry-on. No issues when going through security in Knoxville - in fact, we got to go through the metal detector instead of the cancer machine. Win! However, the aforementioned digital thermometer got flagged in the x-ray machine because it had a nine volt battery in it. They asked whose bag it was, so I pointed to the three year old. The TSA agent took the backpack to a metal table to do the search. He asked if there was a battery in the bag. We said yes and that it was in a digital thermometer. He could not find said thermometer in the bag and my wife kept reaching to help him. This seemed to annoy him as we were not supposed to touch the bag. During the search, I don't remember what he said, but something set me off, so I started my usual speech about my tax dollars at work and security theater. This really got his knickers in a knot. After finally finding the "hidden" thermometer, he took the bag to be re-scanned. While he was there, he must have asked for a supervisor to talk with the grumpy old white man. The supervisor asked me if I had a problem with them searching my bag. I said I had a problem with the inconsistency - that the thermometer had not been a problem at the other airport. She said I should be glad that they found it here to keep me safe. What?!?! I should be glad you found a thermometer?!?! These people have no concept that false-positives are a bad thing, too. She was quite aggressive in her tone and insisted that I was in the wrong. My wife got nervous and asked me to drop it. The original agent held out the bag to me, but would not let go. I truly believe that he was hoping I would jerk it out of his hand, so that they could give me an even harder time. Finally, he let go and we moved on to our flight. 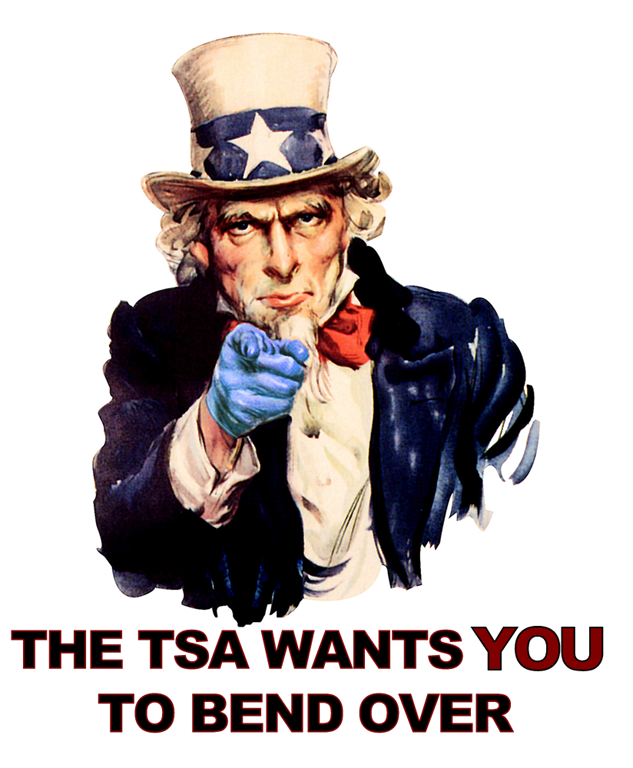 I cannot believe so many people are happy with the TSA as stated in the first link of this post. Security theater is better than reality. There isn't a ton of technical details to be had in the presentation, but it seems too easy for all of these devices to be hacked/disrupted. I agree that a better user interface on the P25 radio might solve the encryption problem, but I still think people will be one of the weakest links. Cory Doctorow: Lockdown - The coming war on general-purpose computing. He makes the argument that SOPA and the like are merely the next wave of assaults on our freedom. Ignorance, greed, and fear will lead to more invasive technology and laws. He connects the dots between copyright and general purpose computing and even things like Software Defined Radios. The "Evil They" would prevent you from doing things like modifying your UV-3R to expand the usable frequencies. Or manufacture your own AR-15 in your garage. "Consider radio. Radio regulation until today was based on the idea that the properties of a radio are fixed at the time of manufacture, and can't be easily altered. You can't just flip a switch on your baby monitor and interfere with other signals. But powerful software-defined radios (SDRs) can change from baby monitor to emergency services dispatcher or air traffic controller, just by loading and executing different software. This is why the Federal Communications Commission (FCC) considered what would happen when we put SDRs in the field, and asked for comment on whether it should mandate that all software-defined radios should be embedded in “trusted computing" machines. Ultimately, the question is whether every PC should be locked, so that their programs could be strictly regulated by central authorities." My worst nightmare... government ninja librarians. I would have said zombies, but they have jumped the shark. If you've read anything about the changes to Facebook, you know that they are trying to access data from every facet of your life. Mark Zuckerberg has already said that privacy is dead. Even when signing out of Facebook, you will find that it has stored your credentials as you visit other sites that have integrated with Facebook. (Deleting all your Facebook cookies can work around that.) The plan is to make Facebook a requirement instead of being optional as you visit sites outside the walled garden. For example, if you want to use Spotify, you are now required to have a Facebook account. And given the stance that there should be no anonymous Facebook accounts, there doesn't seem to be a way around this requirement. PSEUDONYMITY. You heard it here first. I think it’s a big concept. Pseudonymity is the combination of anonymity and authority. It is an alter ego name that follows you on the Internet. It allows you to interact with people in different ways. I would use the word "reputation" instead of "authority," but I think we are talking about basically the same thing. You may not know who I am, but if you follow my blog, you will know what to expect from me and get to decide if I am trustworthy/interesting/crazy. 10. Eric Stratton. Damn glad to meet you. 5. Death to the Infidels! 1. Is this a trick question? After examining my boarding pass and drivers license, the TSA agent asked me what my name was. I'm thinking she should know after looking at those two documents, but I tell her anyway. What kinda of stupid terrorist won't know the name on their ID? Yet another effective security measure if I ever saw one.